We've all been there. It's Thanksgiving and the family has gathered around a table topped with turkey, green bean casserole and tin-can-shaped cranberry sauce. After the food has had its first orbit around the table, the conversation turns to politics. And Aunt Kathleen (Red) and cousin Jim (Blue) start arguing about whose candidate will damage the country the most. But guess what? There are other things to talk about while noshing. So we want to help: Welcome to CNNMoney's Thanksgiving Dinner Talking Points. Mr. Bezos and Mr. Musk go to space! Two of the world's richest dudes duked it out this week over who will be the first to put tourists in space. A company called Blue Origin, founded by billionaire Amazon (AMZN) founder Jeff Bezos, blasted a rocket 329,839 feet into space and then landed it, upright, in the middle of a West Texas desert. Big deal, right? Yes it was. But Elon Musk, the Tesla (TSLA) billionaire whose SpaceX is also shooting rockets into orbit, congratulated Bezos ... and immediately tried to take his astro-rival down a notch. Obamacare: Do insurers like it or hate it? When Congress was debating the Affordable Care Act, insurers were pleased as punch at the prospect of getting millions of new customers. The stocks of insurance companies rallied. Now it seems some insurers are changing their views. UnitedHealth, the nation's largest insurer, said recently that it's scaling back its marketing of Obamacare exchange plans and may exit the program completely. The company said it would evaluate the viability of the exchange offerings in the first half of 2016. About 550,000 people are enrolled in the company's exchange plans. On the other hand, the UnitedHealth (UNH) CEO has also said the company had a "pretty favorable experience" with the exchanges in the first half of 2015. Those who can't wait to get their holiday shopping started don't have to look far. Many stores -- Amazon, Walmart and Macy's, for starters -- will offer customers discounts to get more bang for their buck. Office Depot plans to offer a 10-inch Toshiba tablet for $89.99 -- a 70% discount. Target will have a 55-inch Westinghouse LED television for $249.99. Those looking to try on outdoor wear at REI, however, will have to wait. The store plans to stay closed on Black Friday -- paying its staffers for the day and urging customers to spend the time outside instead of shopping. 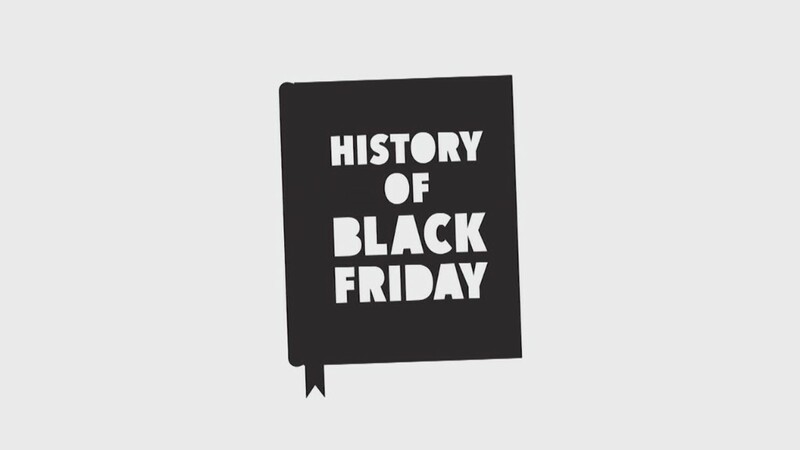 Where did the term "Black Friday" come from? So where exactly did the term "Black Friday" originate? Way back in 1869, the term described the collapse of the U.S. gold market. Nearly 100 years later, Philadelphia police used the phrase to describe chaos caused by shoppers clogging downtown streets on their way to big department stores. Retailers hated the term, and started using it to describe a time when profits turned from red to black. The growth of big-box stores made the term catch on in the '80s and '90s. Is "Game of Thrones" hero Jon Snow alive? Is he or isn't he? HBO released the first promo art for the upcoming season of "Game of Thrones" on Monday. Fans immediately started buzzing because it features the character Jon Snow. The teaser poster shows Snow, played by Kit Harington, looking down, eyes closed, with blood streaking down his face with the words "April" and "HBO" below him. The drama series, presented on CNN's corporate sister channel HBO, ended its Season Five finale with Snow lying in his own blood after being stabbed apparently to death by his own men. The show returns in April. Will Jon Snow be there when it does?